The talk was building for this game for weeks, the renewal of a rivalry of Georgetown versus Maryland that was not a NCAA tournament game and for the Hoyas this game lived up to all of the hype after the letdown against Radford to open the season. The dominance by the Hoyas for most of the game should make this a game fans look forward to each year. 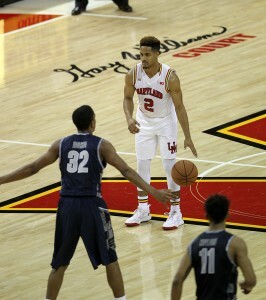 Maryland (2-0) was stretched to the finish against Georgetown, which led by seven in the second half before wilting. The Hoyas looked much sharper than in their season-opening, double-overtime loss to Radford but fell to 0-2 for the first time since the 1998-99 season. 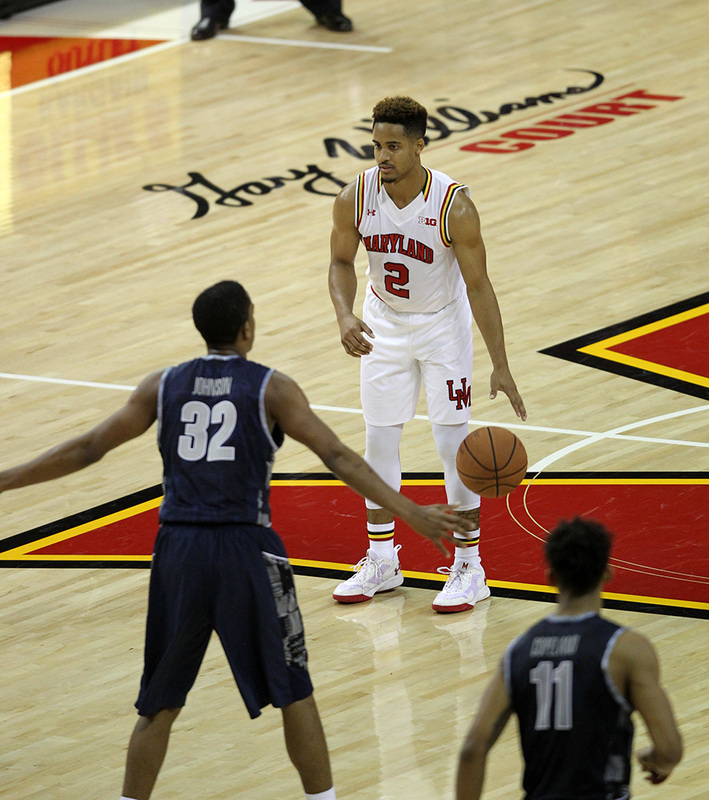 Melo Trimble took control and finished with a game-high 24 points. After a horrendous start during which he went scoreless in the first half, senior forward Jake Layman added 15. Senior guard Rasheed Sulaimon kept the Terps in the game early, and finished with 10 points and seven assists. Junior forward Robert Carter Jr. added 12 points and eight rebounds. Senior center Bradley Hayes scored 16 points and grabbed eight rebounds to lead five players in double figures for the Hoyas. Senior guard D’Vauntes Smith-Rivera scored 14 points, had four rebounds and four assists, while freshman forward Marcus Derrickson added 13 points and six rebounds, sophomore forward Isaac Copeland scored 13 points, six rebounds and had five assists and sophomore guard L.J. Peak chipped in 12 points, three rebounds and two assists. For the Hoyas, they finally had game where more than two players were scoring the entire night and they had an amazing presence in the low post. After the game Hoyas Coach John Thompson III felt as if the Hoyas should have had more chances from the line. Georgetown is back in action this weekend, playing in the 2K Classic on Friday, Nov. 20, playing Wisconsin. Tipoff at Madison Square Garden is slated for 5 p.m. The game will be shown live on ESPN2.